Your 2019 Canada Lunar Lotus Year of the Pig Silver Proof has been graded by the Numismatic Guaranty Corporation (NGC) as being in flawless Proof-70 Ultra Cameo (PF70UC) condition, a distinction that means your perfectly-graded proof will have ZERO imperfections – showing all features and fields exactly as the engraver and mint intended. In addition, NGC has graded your Lunar Year of the Pig Lotus Silver Proof to be a First Releases (FR) coin, a designation that means your coin was received by NGC or an NGC-approved depository within the first 30 days of its release. 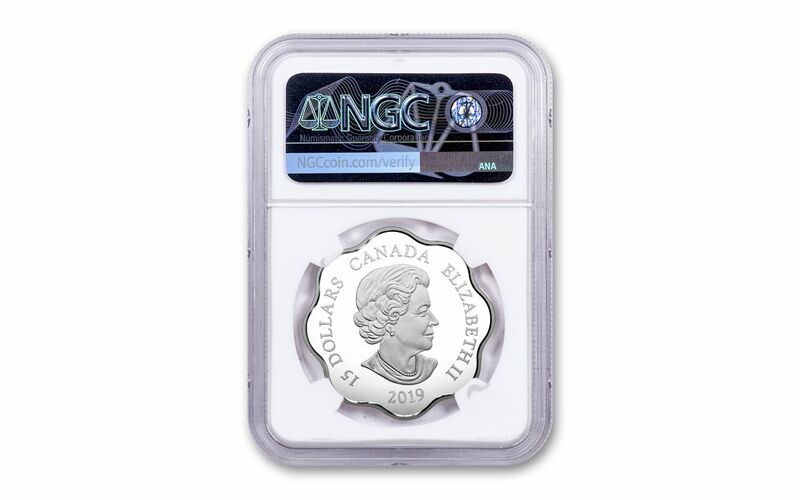 This $15 legal-tender coin from the prestigious Royal Canadian Mint is from a worldwide mintage of just 15,888. It makes a perfect gift for someone born in any Year of the Pig so order now and celebrate the friendly and charming pig today! 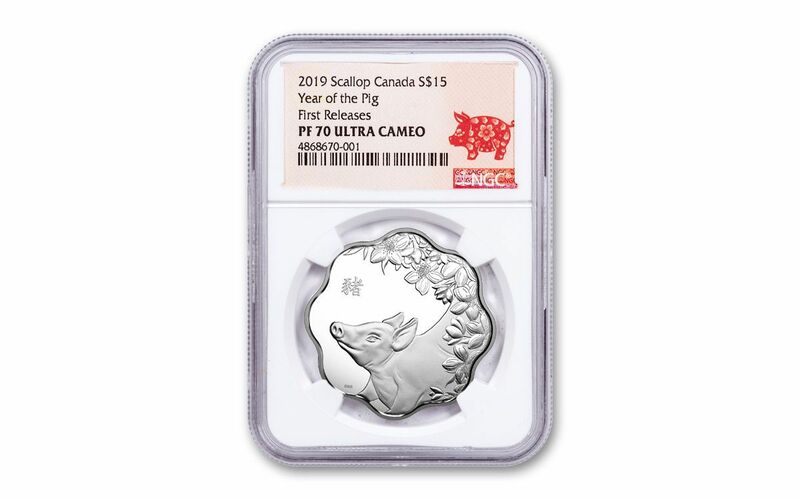 GRADED IN PERFECT PROOF CONDITION – Your 2019 Canada Lunar Year of the Pig Lotus Silver Coin has been graded by the Numismatic Guaranty Corporation (NGC) as being in flawless Proof-70 Ultra Cameo (PF70UC) condition, a distinction that means your perfectly-graded proof will have ZERO imperfections – showing all features and fields exactly as the engraver and mint intended. KEY FIRST RELEASES CERTIFICATION – NGC has graded your Lunar Year of the Pig Lotus Silver Proof to be a First Releases (FR) coin, a designation that means your coin was received by NGC or an NGC-approved depository within the first 30 days of its release.